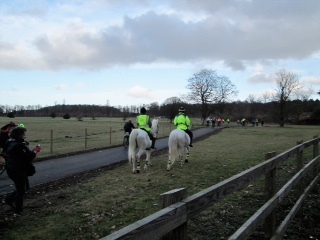 The British Horse Society and Shelford & District Bridleways Group are delighted to announce that the new bridleway providing a safe off road link between Babraham and the multi user path alongside the A1307 is now open for use. The new bridleway is a wonderful, grassy facility (including an uphill slope – something rare in this part of Cambridgeshire!) but the ability to access the miles of tracks which make up the Roman Road, without having to use the busy A1307, is an important, long-awaited link.